Do you sleep with the lights on because you are scared that there’s a monster hiding in the closet or under your bed? Well, there is no creature of the night there. And what’s more, it’s not the monster that you are afraid of that will keep you from having a good night’s sleep, but your bedroom light. 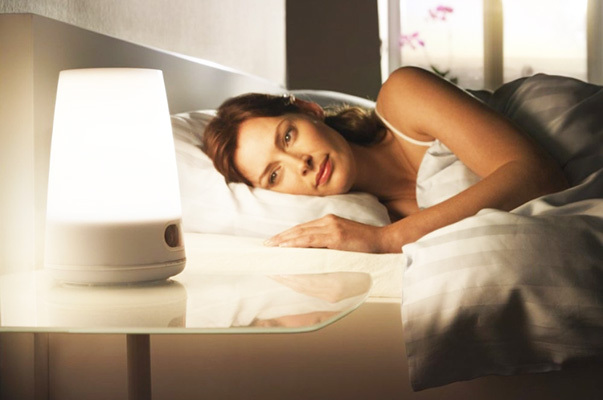 These days, there are simply too many forms of illumination inside the average bedroom. Aside from the fluorescent bulb hanging from the ceiling or installed in a lamp on your nightstand, your favorite electronics and gadgets are also contributing to a bedroom that’s jam-packed with artificial light. Watching a movie or sitcom on your TV, reading emails on your laptop, checking out your social media feed on your cell phone, playing a video game on your tablet — all of these activities contribute to the amount of artificial light you are getting the moment you hop into bed to take your nightly trip to dreamland. Unfortunately, all of the artificial lights you are exposed to at night can cause sleep disruption, according to scientists. We all know the importance of getting 7 to 9 hours of sleep every single night — it gives your brain a much-needed break, it allows your body to repair itself, and it gives you the energy you need the next day. This is the reason why it is a good idea for you to sleep with the lights off, which means that it’s not just the fluorescent bulb that you should switch off, but also your gadgets that emit artificial light. Otherwise, you may not be able to obtain a restful kind of sleep, and it has something to do with a disruption in your body clock. You see, your body clock is determined by the amount of melatonin produced by the pineal gland in the brain. Put simply, melatonin is a kind of hormone that tells your body when it’s time to wake up and when it’s time to sleep. According to scientists, melatonin production is affected by the amount of light the body gets. Our ancestors only had two light sources: the sun during the day and the moon during the night — and that includes the stars and perhaps light from campfires. The body’s production of melatonin is dependent on which light source is present — it is produced when the moon is up, and its production comes to a halt when the sun is around. These days, we no longer depend on the moon for illumination at night. All we need to do is flick the light switch on and everything’s brighter. We also have our favorite light-emitting electronics and gadgets that we use at bedtime, and all of them are contributing to the amount of artificial light we are getting at night. Unfortunately, this confuses the body. Because it is receiving plenty of light at night, it halts the production of melatonin thinking that it’s daytime. As a result, your body clock becomes disrupted — instead of catching some Z’s, you may remain wide awake since your body is deprived of melatonin. Having eye bags and bloodshot eyes should be the least of your concerns if you constantly fail to get a good night’s sleep. According to health professionals, sleep deprivation is something that can cause some serious complications, and they include obesity, diabetes and even increased risk of cardiovascular disease and cancer!